*I love that people don’t notice I am wearing braces. I have mentioned to a few people that I have braces and their response is always the same, “I had no idea! You can’t even see them!” I absolutely love that they are practically invisible. Every now and again I will talk a little funny (anything with the letter “s” can be difficult! ), but other than that, they are not noticeable! *I love that I can remove them to eat and clean my teeth. I remember that when I had traditional braces, flossing my teeth was so hard! I love that I can remove the aligners and brush and floss the heck out of my teeth. When I had traditional braces and the contraption at the roof of my mouth that widened my bite, I remember that I literally had an entire chicken nugget stuck up there at one point . . . I guess you can say that things are going much better with Invisalign. Ha ha ha! *I can already see changes happening! Although it’s only been 4 weeks, I can see and feel that my teeth are moving. My front teeth have always been so tight and crowded, but now flossing is SO easy because they are already moving! There is so much space between my teeth already. It is crazy to me how fast it works! *Fewer appointments (and they are quick ones!). 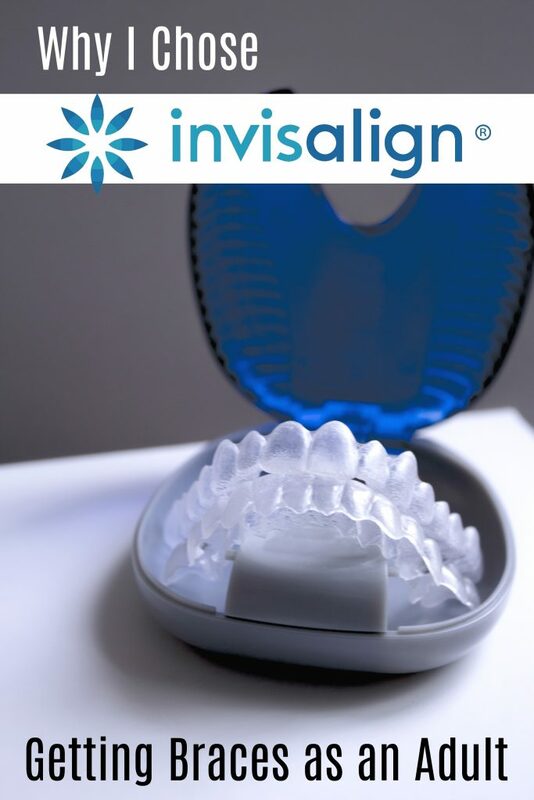 Because everything is done digitally with Invisalign, all of my aligners have already been made and all that I need to do is pop into the Orthodontist once every 10 weeks to make sure everything is going well and get my next 10 weeks worth of liners! No long appointments of tightening wires or changing bands . . . it’s just quick and easy! My busy schedule is very thankful. *I can take them out if needed. It is recommended that you wear your aligners for 20-22 hours per day. I usually only take them out to eat and brush, but a few weeks ago I was the keynote speaker at a large conference and I was so thankful that I was able to remove them for the time that I was speaking. You definitely wouldn’t be able to do that with traditional braces! So there you have it . . . so far, I am thrilled with Invisalign and can’t wait to see what the next few weeks will bring! I will keep you updated on my progress!